We can validate your parking if you park in the garage. There is also free street parking or metered street parking right outside. 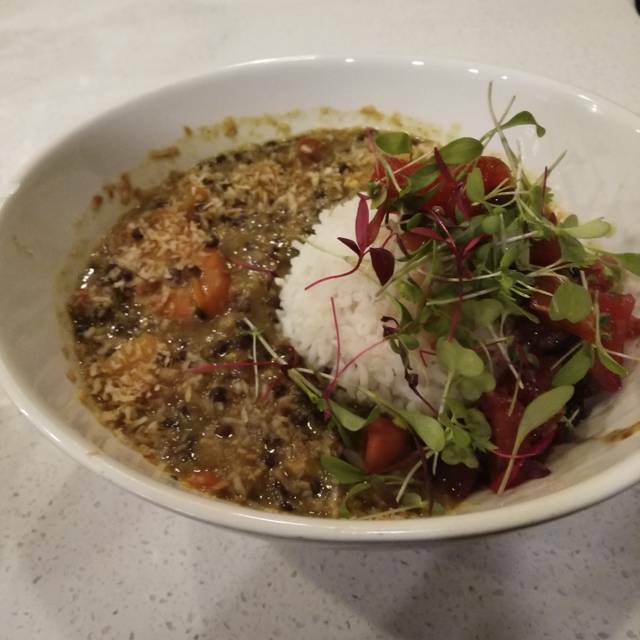 Modern Love Omaha serves swanky vegan comfort food. We take classic favorites and give them a vegetable twist. We make everything from scratch, and support local farmers because everything is more delicious that way. I'm a huge fan of modern love and always celebrate my birthday there. This past Saturday , however, service was so poor it ruined the experience for me. After waiting 20 min for a server, without an apology, we ordered drinks which came to the table at different times, as did our meals. The arugula salad had no dressing and we had to flag down our server to ask for dressing as she never bothered to check in and see if everything was ok. Then, halfway through our meal, she brought over the dessert menu. Ridiculous! Her tip reflected her service. Very dissatisfied with the service, food was great, but I hesitate to return. So sad as I really regarded this restaurant as one of my favorites. Modern Love is always fantastic! Every meal I have ever had there has been so tasty! The first time we went it was hands down amazing. This time we ordered the wings off the happy hour menu and they were cold and seemed old. did not taste as fresh as it did the time earlier. Probably wont go back for food. Drinks were good though. Vegan resturaunt... wouldn't know it. I did not know what to expect so we ordered 2 appetizers, a couple of entrees and me and wife both got shakes (1 vanilla 1 chocolate). 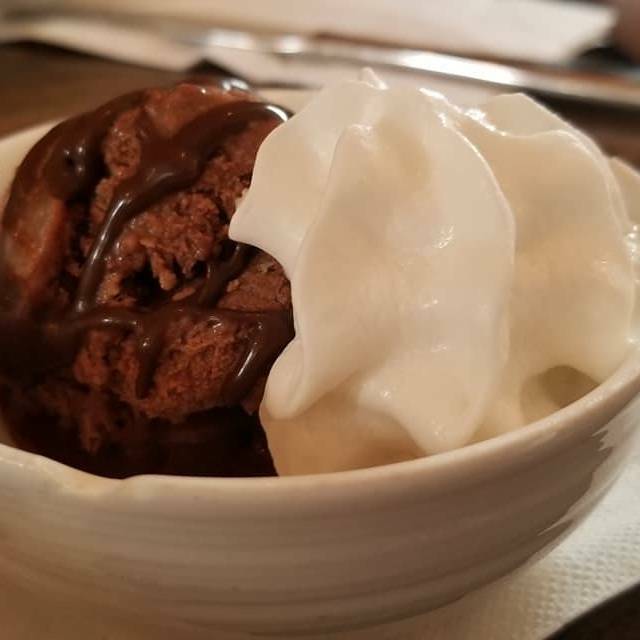 This place was fantastic, my wife has developed a gluten and dairy allergy and has since been defeated at resturaunts only offering a few items if even that accomadate so this was a win win. I love having it in our neighborhood and I believe if you try it you will enjoy it. Portions were generous, and anything we asked about they were happy to oblige. Can't reccomend it enough! The food is very delicious! Best in omaha!!!!! the owner is very nice and down to earth!! There were two of us and my friend’s meal arrived almost 10 minutes before mine. Her food was warm upon delivery but not hot. My entree was very good. Our waiter was great. The 4 of us made a meal out of 4 appetizers because we couldn't just choose 1 or 2. We had the brussel sprouts, plantains, nachos and avocado toast. Not a morsel remained and we were satisfied. Until dessert, that is. Snickers Pie and Strawberry Shortcake were perfect complements to each other. We had all heard good things but hadn't dined there before. Needless to say, we were blown away by the whole experience as well as the richness of the food. We've dined at Modern Love at their new and old locations. Our recent visit was a little disappointing. The service was pretty good. 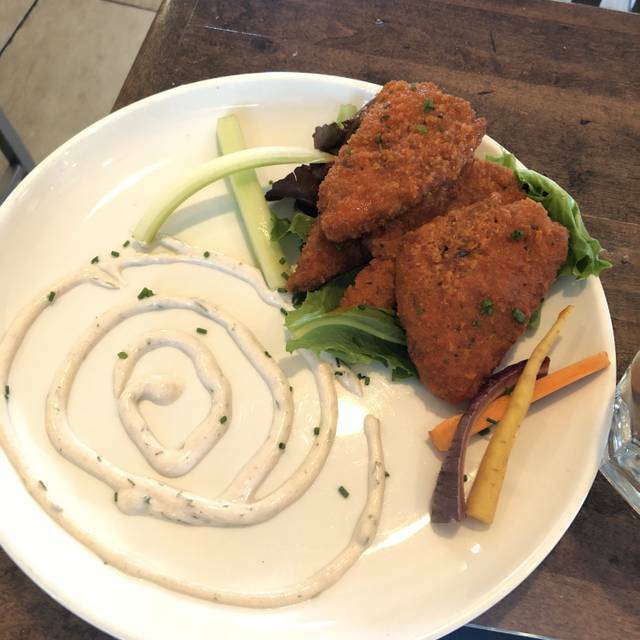 The main course of a chickpea cutlet had spent a little too much time in the fryer, and it tasted of oil that had been overused. The pasta had been overcooked too. The table we were seated at had very uncomfortable chairs. On the other hand, our appetizers and desserts were excellent as always. We will visit Modern Love again, but perhaps order a different main course - and request more comfortable seating. The food is amazing. It really showcased that vegan meals can be delicious. Their menu has plenty of choices. Service is always wonderful. Hey I love modern love. Very loyal customer but your service and timing is becoming really bothersome. We were a party of 4 and you brought out dishes one by one. It was so awkward. One person asked for a milkshake WITH their burger and the milkshake came out before the appetizers. Then you pressureD us with a dessert menu in the middle of dinner, and repeatedly tired to take plates with food still on them. Please leave diners alone and let them eat. We ordered 4 appetizers, 4 entrees, cocktails, and 4 desserts and were there like an hour. I don’t appreciate being rushed when we are spending so much money. An hour is not unreasonable time for that. We weren’t lingering. You dropped the check before dessert even made it out making it clear we were under pressure to get the heck out, which is a shame because we wanted to order more cocktails. Finally you brought your dessert in 3 waves separated by about 5 minutes. This is not a cheap dining experience. Please try to be better with your service. Love this place. I like watching the website or Facebook page for new menu items, and look forward to going back to try new things. We have enjoyed everything we have ordered. We never go, and don't order the Nachos, though. Best Nachos in town, vegan or not! This is my favorite restaurant anywhere. I am from Los Angeles and there are many amazing restaurants there. Additionally I have traveled extensively and have tried restaurants in most of the major cities. This is still my favorite restaurant anywhere! I think that says it all! Delicious food, great ambiance, polite service. 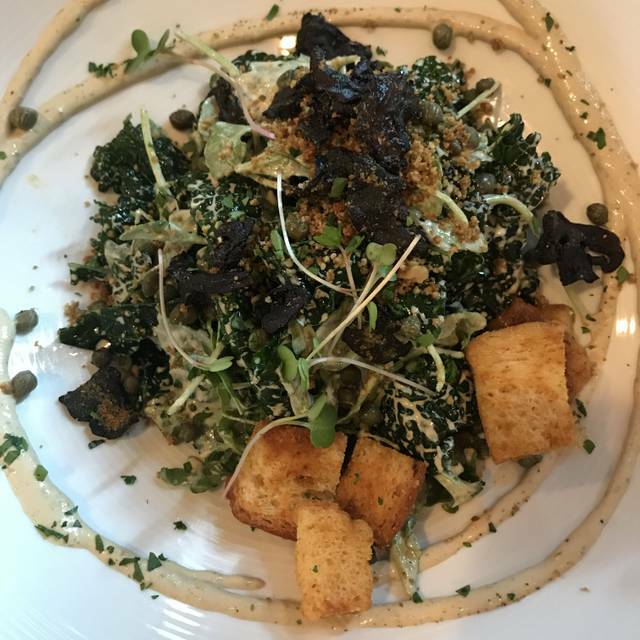 You don't have to be plant based/vegan to enjoy this wonderful restaurant, you just have to like good food! Food and drink were delicious. Enough leftover for two more meals. Would definitely go again. Free parking certainnly appreciated. Food was good. Service was great. First time there so we had no expectations. I absolutely love this restaurant. I’ve never had a bad experience and the food has never disappointed! 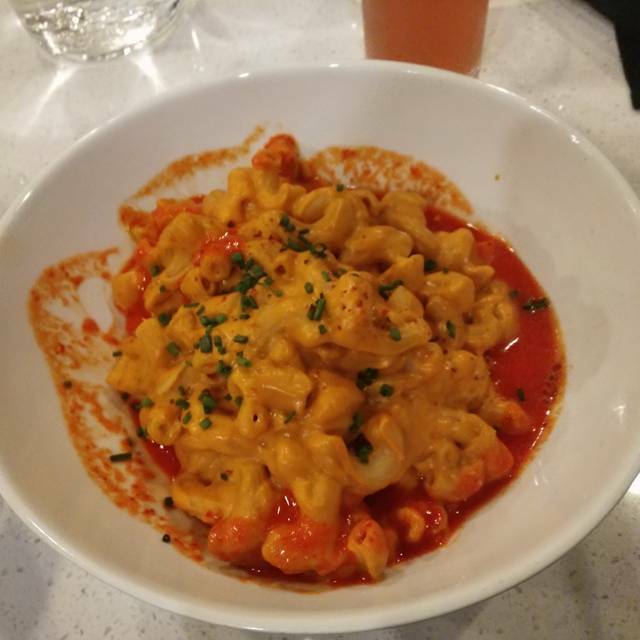 The seitan wings and mac and shews are to die for, and their service is always great! I try to make it in every time I’m in town! Modern Love is an incredible option for vegans, vegetarians, and meat eaters alike! I brought a group of friends from out of town to give our vegetarian friend a birthday dinner with her pick of an entire menu. Most of us ordered different items, tried each other’s food and loved everything. This is not a substitute for the “real thing” experience. This place is it’s own real thing and an Omaha treasure! The nachos are the best in town. For two we share a chimichanga and a raspberry cheesecake for dessert. We had water in the delightful metal cups. And a draft Pilsner each. We left with a tab under $50. My friend from NY was blown away and raves about it the rest of the weekend. Looking forward to more specials like chik’n & waffles! Great presentation, unexpected specials, nice per glass wine list. My only regret is being around families with young kids. The food was delicious and bountiful; leftovers lasted for a couple of days. We tried a hummus appetizer, 2 entrees, and a dessert. All good. I purchased a t-shirt; wish they had more schwag available. Best overall restaurant to which I've ever been. I will go back again and again. My absolute favorite place to eat in all of the USA! 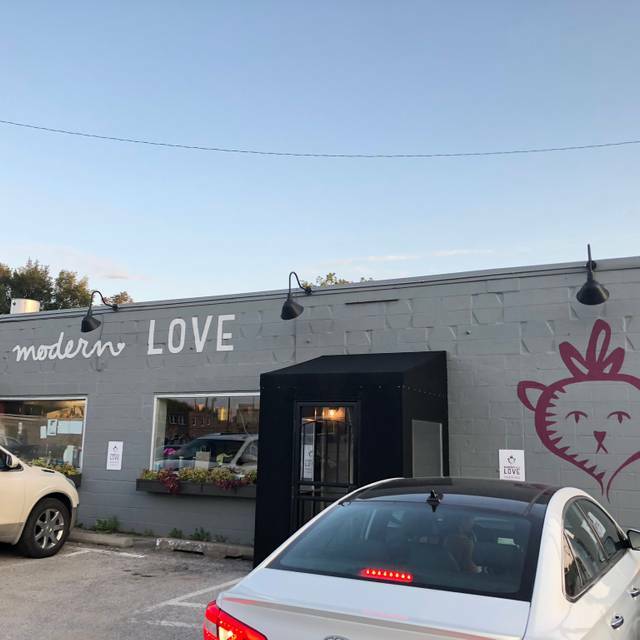 My sweetie and I live in Lincoln and anytime we have a reason to be in Omaha we make sure to stop at Modern Love. As a vegan it is wonderful to know that everything on the menu is "safe". We love the new location and all of the space and larger menu. Excellent in every aspect! A little chilly in there but all restaurants are. Dinner was off for all of us. Amazing shakes though. No one enjoyed their meal which was very different than our first experience there. really love the food here. There was quite a back up of people waiting and despite having reservations, we had to wait 10-15 minutes. That itself wasn't a big deal but I felt like they were trying to rush us in order to seat more. Our small plates and entrees were dropped within 5 minutes of each other. I like fast service but man, hadn't even gotten half way into the small plates and frankly, the tables are way too small to have that many plates on them. First time, really enjoyed it & will be back. One suggestion: the 3 top table/booth hybrid that's just at the bottom of the stairs would be so much more comfortable is the table were higher- the seat to table ratio seems ever so slightly wonky and I feel like I'm stooping over my food. Great vegan offerings! Server offered solid advice on selections and was attentive throughout. Brussel Sprouts were wonderful! 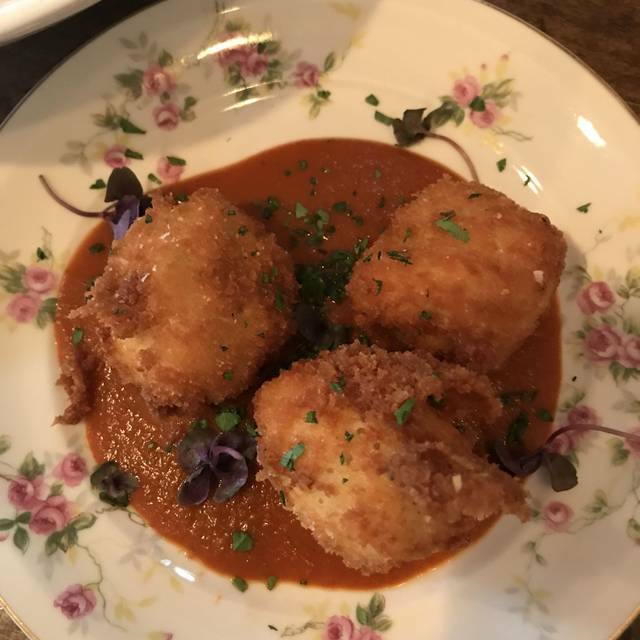 We come to Modern Love often and our most recent visit, yet again, did not disappoint. We both ordered two new menu items...ahhhhmazing. So thankful for this little slice of vegan heaven. Modern Love is my favorite restaurant in Nebraska. The tofu fried egg ramen special was incredible. Room is too industrial. Booth we were seated at was very uncomfortable. Table too far from bench seat to reach the food. No cushions on back. Wouldn’t want to be seated there again. Would recommend with reservation that the room is not inviting. The vegan chocolate shake was AMAZING! We didn't care for either of the salad dressings, but that was a small part of a wonderful dinner! Chi was our server and was so awesome!! Love the restaurant, and he makes it even better!! Started with the Brussel Sprouts - freaking amazing!! I had the Buffalo "wings" for my entree and the husband got the Kale Ceasar salad. I have a love, love relationship with the wings. I dream of them. I'm personally not a fan of kale salads - the leafs were pretty big. I tend to enjoy kale salads if the leaves are cut pretty fine. I think it's a little easier to chew. Two words: Snickers Pie. I'll say it again: SNICKERS PIE!!!! Husband got the blueberry cinnamon roll and loved it!! We will eat at other restaurants or at home and still go here for dessert. ML never disappoints!! 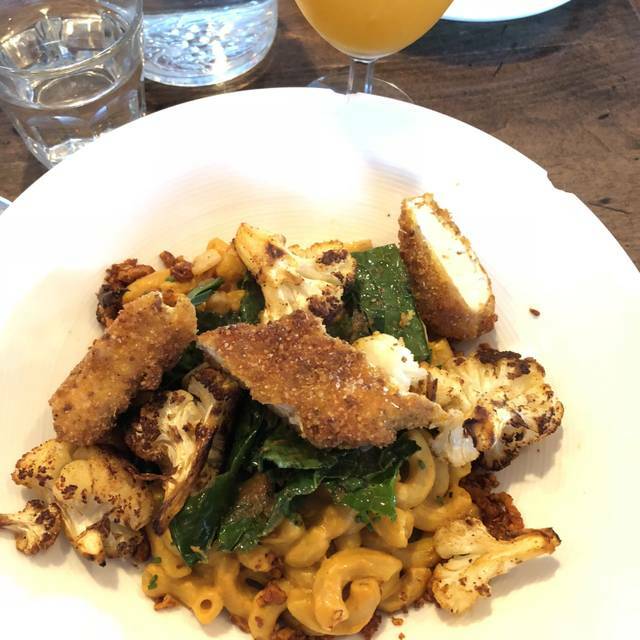 We took a friend from out of town who is not vegan and he was simply blown away by everything: atmosphere, food and cocktails! The Seitan Reuben was incredible!